THE SHARPENING REPORT | I am not going to ask you to SUBSCRIBE, LIKE, AND SHARE but I appreciate it if you do! 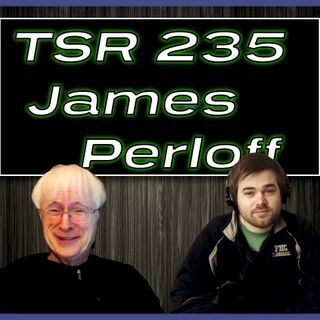 James Perloff, author of Tornado In A Junkyard and Truth Is A Lonely Warrior, comes back on The Sharpening Report to discuss the problems with idea of evolution and Darwinism. We discuss genetics, origin of life, fossils and much more. Very informative! What do you think? Make sure to leave a comment below! Want to join an elite club that only a few people even know exist? It is the Deep Description Readers Club. All you have to do is answer the weekly question in the comments. We can have our own separate conversation and those lazy non-description readers will never know why! In the future, we might even have some prizes down here! If you could have one part of another animal, what part would you want? Comment what you think below! - Music provided by Frequency. The Sharpening Report is a branch of Sharpening Studios. This video belongs to The Sharpening Report and Sharpening Studios. Any re-uploading or broadcasting without The Sharpening Reports consent will be subject to a copyright claim and further legal action.